Facilities: FCI Milan with a detention center. Location: FCI Milan is located in the town of Milan, off of U.S. 23 (Exit 27). 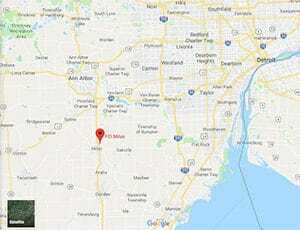 It is 45 miles south of Detroit and 35 miles north of Toledo. Background: FCI Milan opened in 1933. Besides the traditional federal prison, it houses a detention center for pre-trial detainees and holdover inmates. Notable inmates include alleged leader of the Sinaloa Cartel Vicente Zambada-Niebla (currently awaiting trial for importing cocaine into the U.S. and drug-related murders). Housing: Inmates are housed in dormitories of two-person cubicles. Health Services: Services available to inmates at FCI Milan are medical sick call, chronic care, specialty clinics, X-rays, lab, dental, pharmacy, medical records, preventive health care services, emergency services, and the diagnosis or treatment of chronic infectious diseases. While emergency medical care is available 24 hours a day, inmates must submit a sick call form to be evaluated for non-emergency medical needs. Psychology Services: All arriving inmates at FCI Milan are provided a brief clinical interview, at which they are made aware of available treatment opportunities and the process involved in requesting services from the department. Treatment is typically offered in a group therapy format and includes anger management, and other groups. Notices of new and upcoming offerings are posted on inmate bulletin boards. The Religious Services Department also offers the Life Connection Program for inmates who desire to grow as a responsible person. Residential Drug Abuse Program (RDAP): FCI Milan offers the Residential Drug Abuse Program (RDAP). Additional programs include the Non-Residential Drug Abuse Program (NR-DAP), the Drug Education Class, Alcoholics Anonymous (AA), and Narcotics Anonymous (NA). Education Services: FCI Milan provides GED and English-as-a-Second Language (ESL) programs. Adult Continuing Education (ACE) courses, a parenting program, and a Reading is Fundamental program are also offered. High school diplomas and post-secondary programs are available through paid correspondence programs. Advanced Occupational Education: FCI Milan offers advanced occupational education in Automotive Service Technician, Janitorial Maintenance, National Federation of Professional Trainers (NFPT), and Parks & Recreation Worker. Vocational Training: FCI Milan does not offer any vocational training aside from its advanced occupational education and apprenticeship programs. Apprenticeship: FCI Milan offers apprenticeships in Carpentry, Computer Operator, Dental Assistant, Electrician, HVAC, Millwright, Pipefitter, Plumber, Quality Assurance, Stationary Engineer, Tool & Die, and Welding. Library Services: Reference material are available in the law library, as well as typewriters and a copy machine. Inmates are allowed to check out fiction and nonfiction books, magazines, and newspapers. The TRULINCS Electronic Law Library allows inmates to conduct legal research. UNICOR: The FCI Milan UNICOR operates a Metal Specialty Plant. There is a pre-industrial training program for inmates awaiting hire in the plant. Commissary: Inmates are allowed to spend up to $360.00 monthly in the commissary. Postage stamps, copy cards, photo tickets, and over-the-counter medications do not count against this spending limit. Popular items include ice cream, soda, food, candy, and snacks. Recreation Services: Indoor and outdoor recreation programs are provided to FCI Milan inmates, including a gymnasium and recreation yard. Hobbycraft and sports league activities are available to the inmate population. Popular sports include basketball, soccer, and flag football.